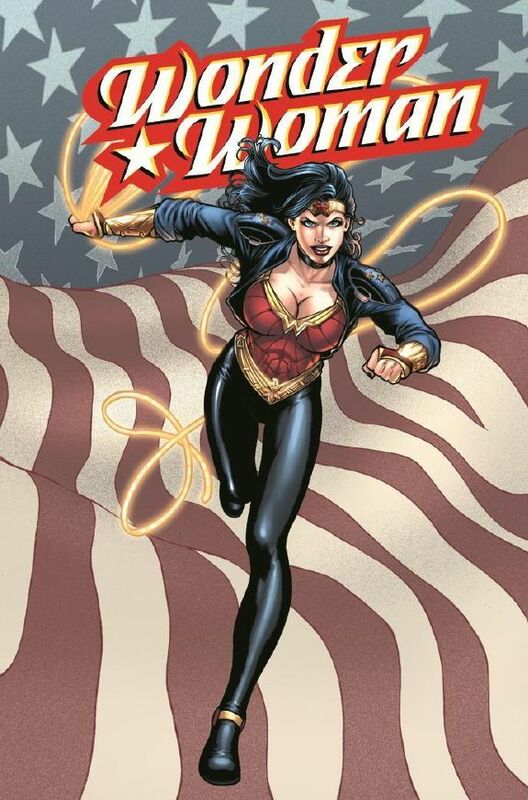 DC Comics is releasing a new Wonder Woman comic today (above) and she's sporting a new look, complete with dark leggings and some kind of retro Joan Jett jacket, which just doesn't work for me. I mean...REALLY? Have they learned nothing from history? Here is Kathy Lee Crosby in the original "Wonder Woman" pilot for ABC wearing a jacket-centric costume. 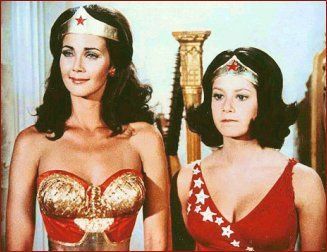 That look doesn't say "Wonder Woman". It says "Flight attendant...could I please get another vodka?". 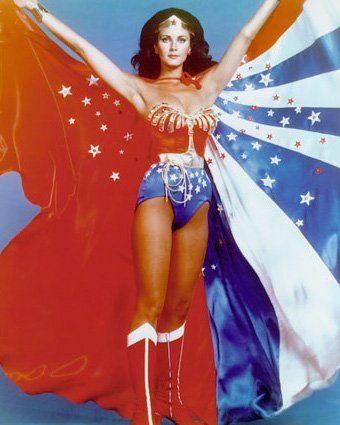 Now THIS is what Wonder Woman should look like! See...no jacket works SO much better. And, although Edna Mode isn't a big fan of capes...I think it works for her. 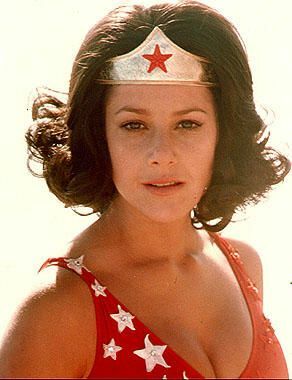 Even Debra Winger, as Wonder Girl, didn't have a jacket. Unfortunately, she doesn't really look that happy in this pic from the episode. 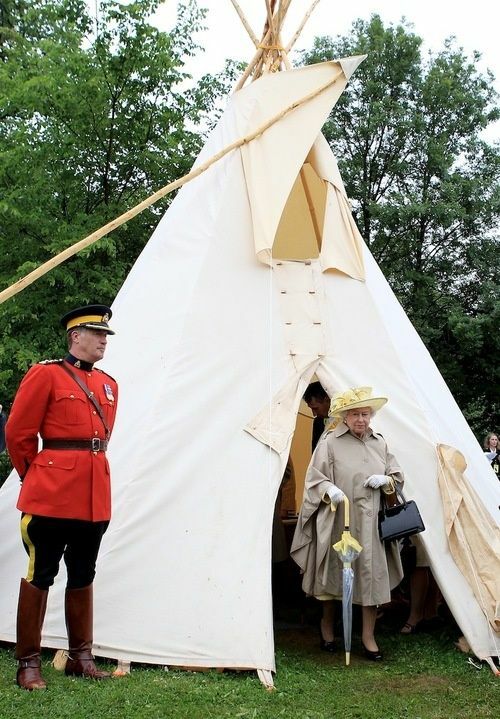 I'm sure she said "So, I'm gonna have to stand next to HER and THOSE in THIS? I am getting paid cash, right?" She didn't even really seem to enjoy her "Spin", which is the best part of the transformation...just kinda half-asses it. It's like she's a little drunk and afraid she's gonna wobble into the bushes. Again....she should have learned from the pro. THIS is how you spin, missy! Arms UP! Hair UP! Check the waist and back and, if you do it right...you can even spin into different form-fitting outfits for every occasion. And...not a jacket in sight! Here's the latest "Sassy Gay Friend" video...this one features Adam and Eve. If you want to see the other "Sassy Gay Friend" videos...click here. It looks like there's a new Heart Attack Burger on the market...and it looks delicious! 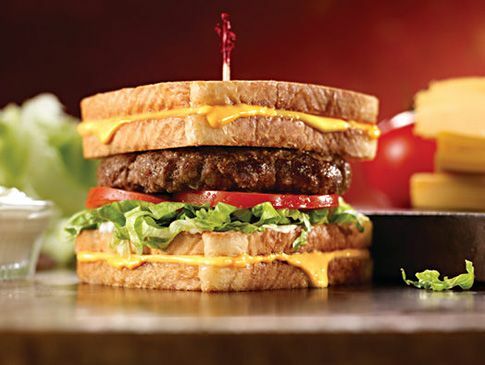 KFC’s Double Down is so last month, now that Friendly’s has weighed in with its own Grilled Cheese BurgerMelt, a towering concoction that’s even bigger, fatter and unhealthier than its rival. The monstrous, multilayered sandwich is really three dietary sins in one: a Friendly’s 100% Black Angus Big Beef Burger placed between two whole grilled cheese sandwiches on white bread. I thought that KFC's Double Down just looked gross...so I had no interest in trying it. However, when I'm back in Ohio this fall...I may just have to drop by Friendly's and give the Grilled Cheese BurgerMelt a test-drive in my pie-hole. Edith Shain, the nurse in one of the most memorable photographs from World War Two, died Sunday at the age of 91. 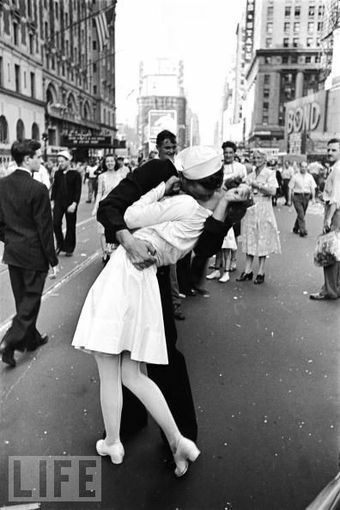 The picture, taken in Times Square on V-J Day after the Japanese surrender, appeared in Life magazine. If you're gonna be remembered for something in this life, that's a pretty cool legacy to leave behind. I hope she got a similar reception wherever she is now. 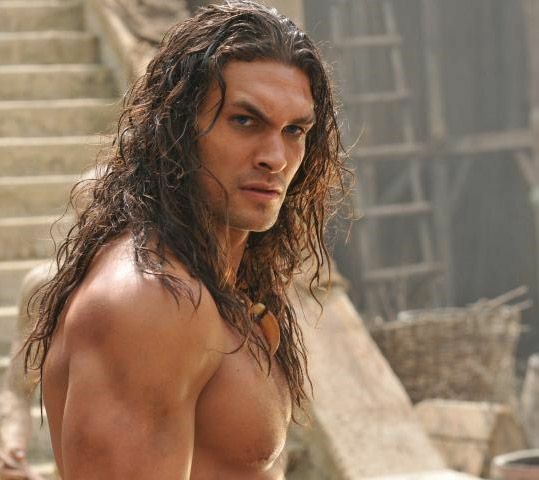 Here is a new pic of the guy, Jason Momoa, who is taking over the Arnold role in the "Conan the Barbarian" remake that just completed shooting. Annie Lennox sang live at the recent Dolce and Gabbana fashion show. It's always nice to hear her sing and it's also nice to see the various Italian boys wandering around showing off their...clothes. The first model out in the second video (part 2) is pec-tacular. And by that, I mean he has nice shoes. 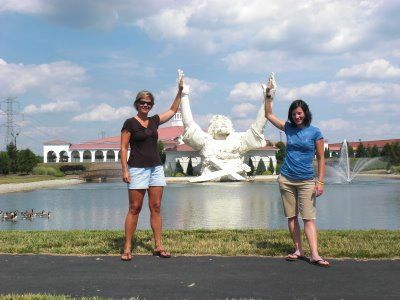 As many of you know, I saw this "King of Kings" statue outside of a church on my last trip to Ohio last fall while driving back from a day at the casino with my Dad. 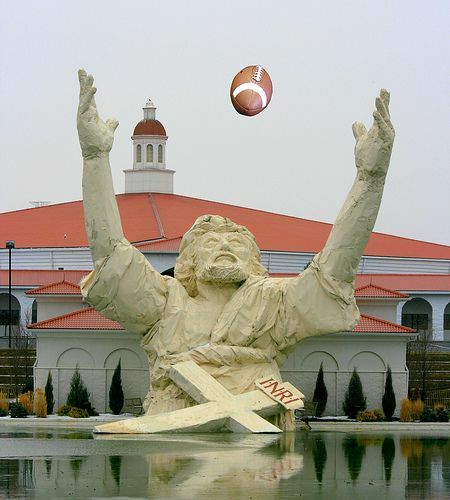 I was told it was also known as "Big Butter Jesus" by some and, by most people, was just called "Touchdown Jesus", which I thought was hilarious. 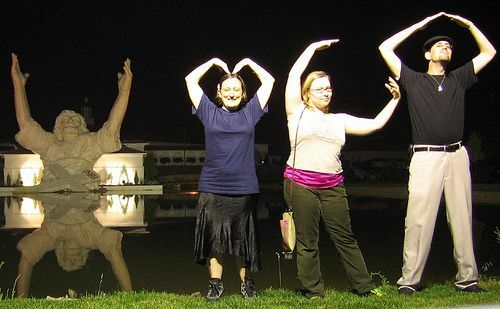 I guess people have known about this ginormous statue for years and, oftentimes, have stopped their cars and posed with it for fun. 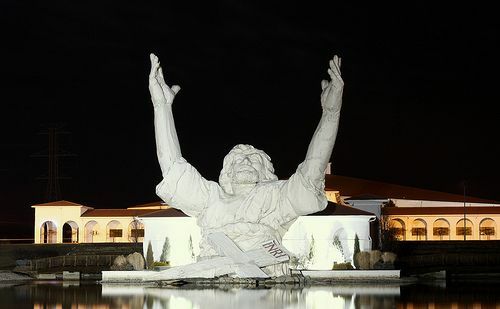 Charred remnants remained this morning, June 15, of the large Jesus statue iconic to Interstate 75 that was destroyed following an apparent lightning strike during a thunderstorm late Monday night. 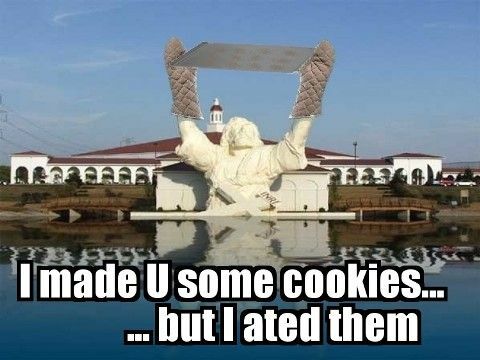 The statue was constructed of wood and styrofoam over a steel framework that was anchored in concrete and covered with a fiberglass mat and resin exterior, according to the church. 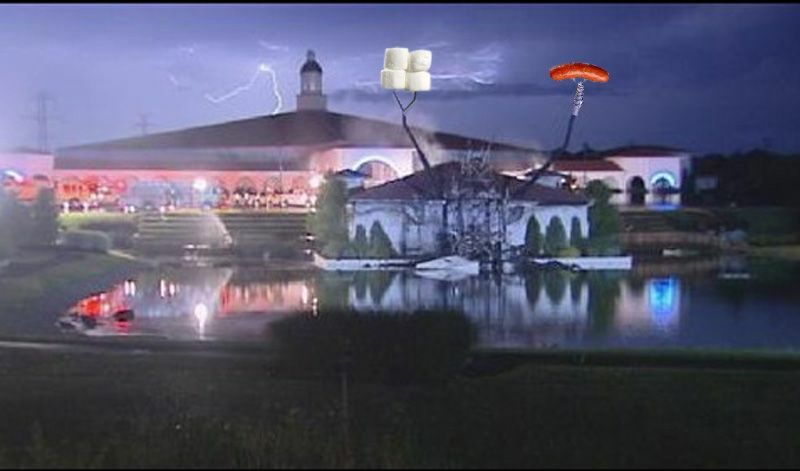 It was slated to undergo renovations this summer. 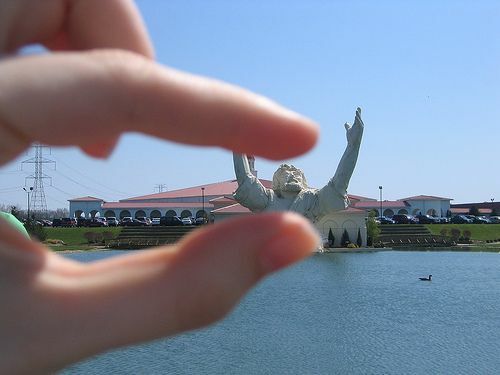 Hmmm...I'm certainly not a licensed contractor, but it seems to me that if you build a giant statue out of wood, styrofoam and line it with steel and then surround it by water...you're kinda taunting mother nature to "Bring It". I think he's got a good sense of humor. I mean, he did give us Kate Gosslin, Carrot Top and Sarah Palin didn't he? Harrison Ford and Calista Flockhart have tied the knot after 8 years together, Flockhart's rep confirmed to CNN. The couple wed in New Mexico on Tuesday, where Ford is filming "Cowboys and Aliens,". The wedding was performed by New Mexico's Governor Bill Richardson, under the legal supervision of the state's Chief Justice Charles W. Daniels. The couple's 9-year-old son, Liam - whom Flockhart adopted in 2001 - was also in attendance. She is Calista's mother, isn't she? Tonight is the premiere of TV Land's first original sitcom, Hot in Cleveland. My DVR is so excited, it's practically ovulating. Also...today would have been Frank's birthday. I hope he's happy and running like a jackrabbit up there somewhere. 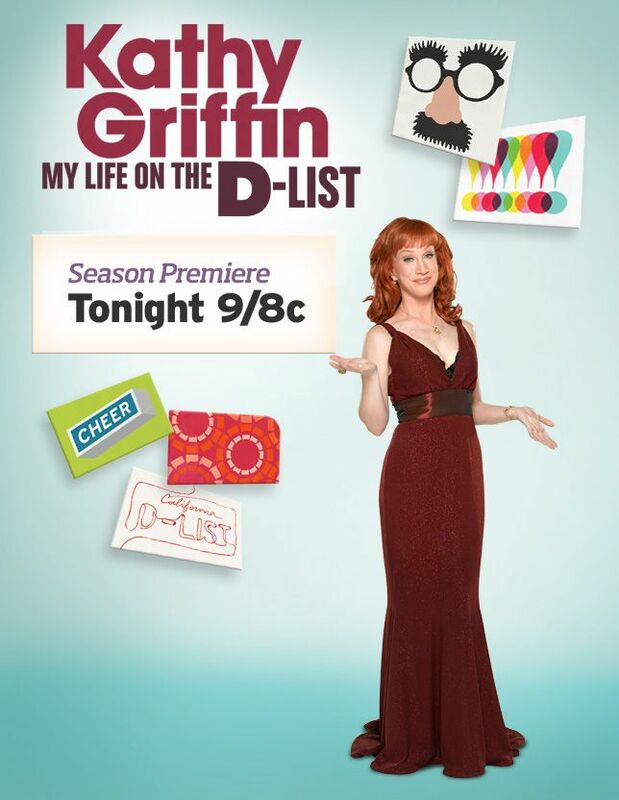 It's one of my favorite things about summer...a new season of Kathy Griffin's "My Life on the D-List" starts TONIGHT on Bravo! A couple of new Armani ads are on their way out featuring Cristiano Ronaldo and his World Cups. That boy is so damn....photogenic. 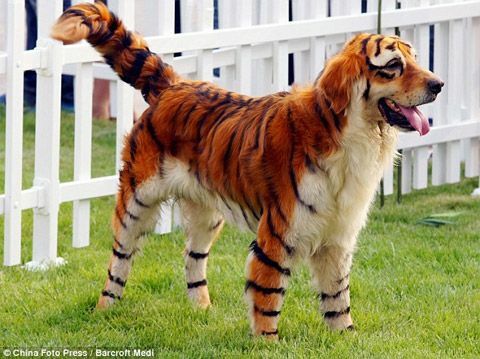 From a distance, its striped orange and black coat makes it look like a particularly odd tiger. 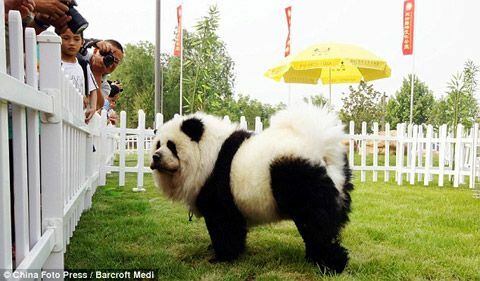 But it's actually a retriever, the victim of the latest craze among some dog owners in China to dye their pets to look like other animals. The Chinese are always quick to embrace bizarre trends, and it is not unusual for owners to take their dogs to grooming parlours where they are not only given a shampoo and trim, but a multi-coloured dye job as well. It's only a matter of time before animals become living billboard space for brand promotions. 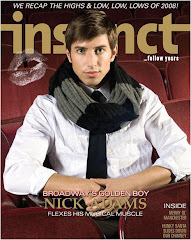 "Vampires can get away with having very slight builds and the audience will still believe that they're super powerful. Werewolves are animals and in my mind they should be very muscular. Not an extra ounce of fat on them. Really ripped. I wanted people to look at Alcide and think, 'wow, he's a super strong animal'. I love method actors with a gym membership. Lady Gaga's new video, "Alejandro", has arrived and it looks a lot like a sequel to Madonna's "Express Yourself"...similar lighting and sets with scantily clad soldiers all focused on one sultry platinum blonde. I have a feeling you won't be able to avoid this song for the next few weeks in your local dance clubs. Just accept that, take a breath, and let the rhythm get you for a few minutes. It's the time of year I always look forward to...Kathy Griffin has a new comedy special, Kathy Griffin Does the Bible Belt, coming out TONIGHT on BRAVO and then a new season of My Life on the D-List starts next Tuesday night. I have a feeling she's going to be a very bad girl...and I like it! These photos with the somewhat attractive photographer, Mike Ruiz, are really fun. He has a very creative...eye. 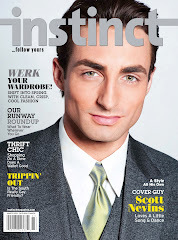 So, everyone set your DVRs for the special tonight AND for the new season of the D-list next Tuesday night on BRAVO. 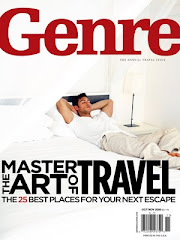 Unfortunately, Bravo's embed code is all screwed up, so if you'd like to see a clip from the show...click here. If ya' wanna see some of my other posts about Kathy...click here and enjoy. 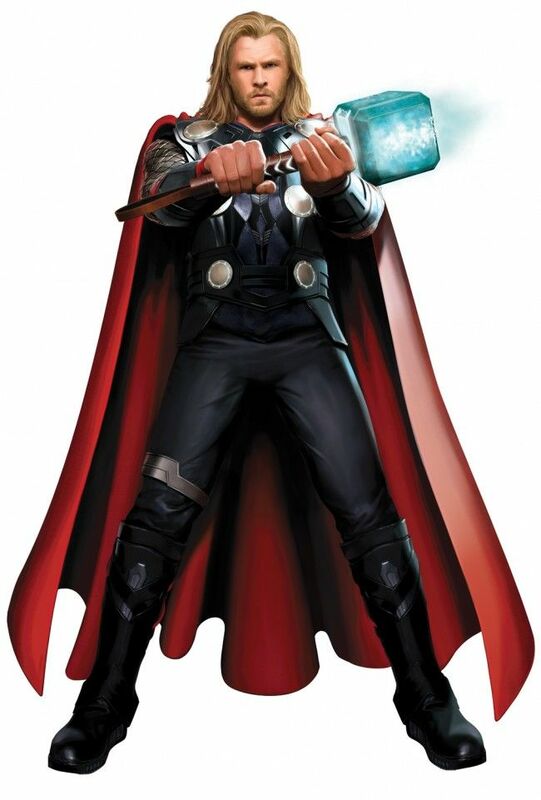 I can't wait until he goes up against those flying Huggie's babies. Well, it's official, The New Adventures of Old Christine is canceled for good. There was talk that the CBS sitcom (one of my favorites) might be picked up by ABC, but it was announced today that no deal could be made. It's such a shame. That show was one of the funniest sitcoms still around (and there aren't that many good ones anymore) with a really great cast. The networks can really make some bad decisions at times (another couple of seasons of Two and a Half Men? Really? REALLY?!). Also, it was announced this week that Guillermo Del Toro had to drop out of directing The Hobbit movies because of the amount of time it has taken the studio to get the rights issues cleared up. 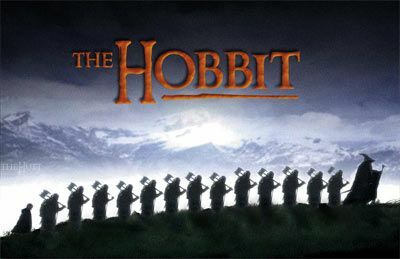 Hopefully, Peter Jackson will just direct it instead. Rue McClanahan passed away today. 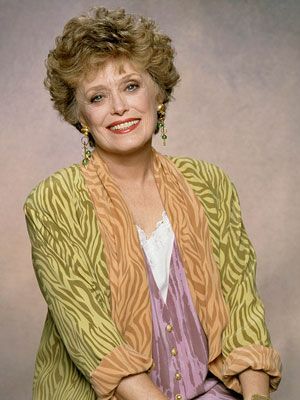 Golden Girl Rue McClanahan has died at the age of 76. Betty White is now the only Golden Girl still alive from the cast. I hope that she's here for a good long time. 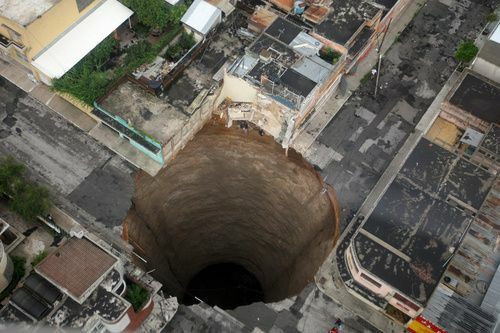 Geez...it looks like aliens drilled that hole right into the center of the Earth. How does something like that just...happen? 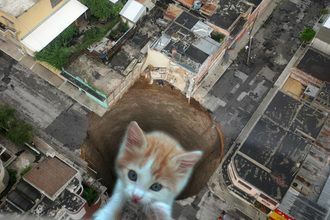 We're gonna need a bigger litter box. 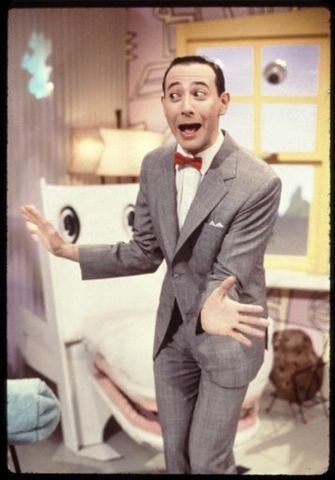 Pee Wee Herman is making a comeback this year and is bringing a new show (with all the characters from his old TV show) to Broadway soon. 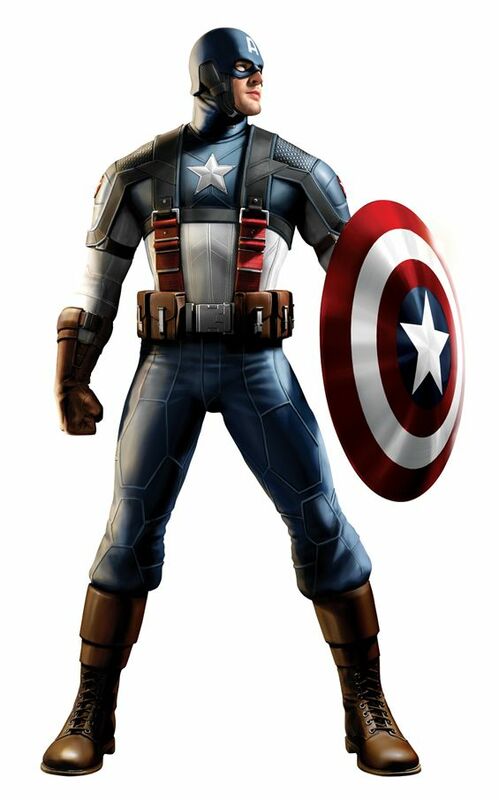 I used to love his TV show and, of course, the movies. Here he is visiting Whoopie and the gals on The View recently to talk about it. He doesn't look like he's aged at all since he first did the show. I think someone's using a lot of Madonna's Photoshop Day Cream. I really need to get some of that.